1. "I hope the royalty will not delve in politics. If it does, then it must be prepared to be criticised for whatever they say." 2. "The question of being anti-royalty does not arise. The Tengku Mahkota of Kelantan saw it fit to descend into the political arena by making a statement early this month that the non-Malays should not ask for equal rights." These are two powerful statements of principles from the late Karpal Singh. The irony is, of course, Zaid said more or less the same thing when he responded to the Selangor sultan (photo). 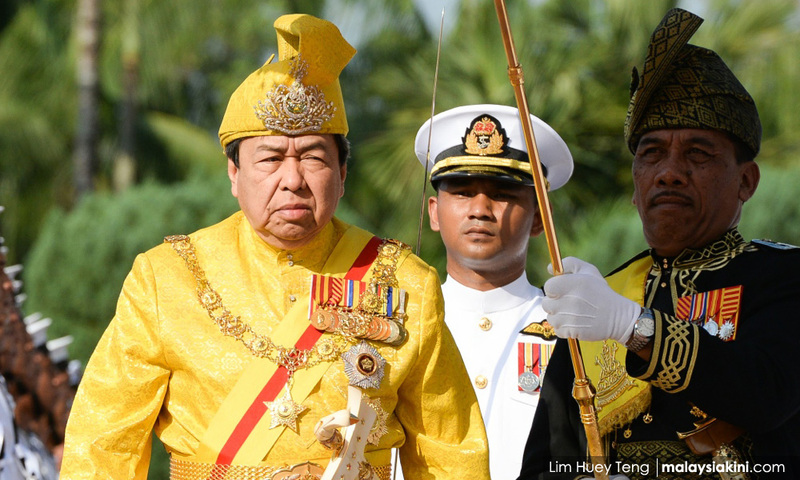 For his defence of the former Prime Minister Dr Mahathir Mohamad, he invited the usual charges of being anti-Malay and anti-royalty. He also discovered that he had no “friends” in the opposition who were willing to stand with him in his time of need. When Tony Pua claims that Selangor DAP has “no position” on this issue, it is complete horse manure. A member of your political party makes a provocative statement and DAP has no stand on this issue, and going so far as to declare that his statement does not reflect on the party in any way because he is not an office bearer. Does this make any sense?